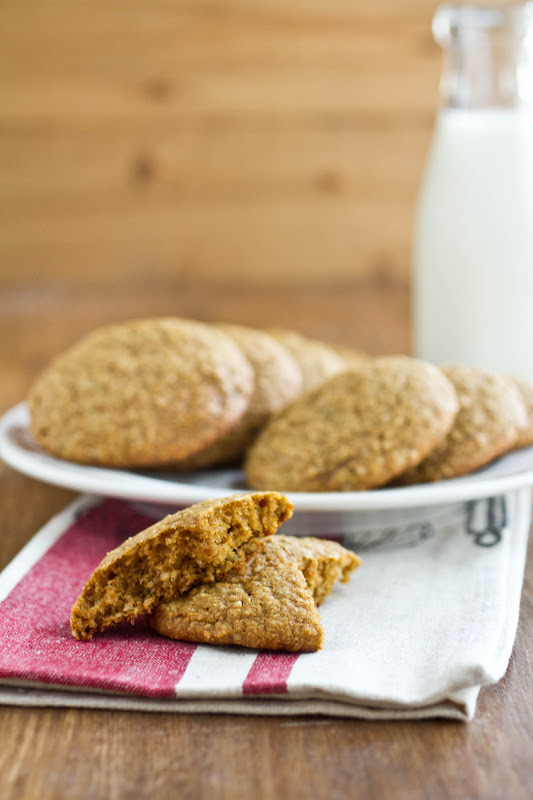 Pumpkin Hemp Cookies | Naturally. As much as I wish it wasn’t true, I hated science and math in high school. I could never get the equations to line up and my experiments in chemistry had a high rate of failure. On top of that I can’t even count how many times I burnt my arm on the Bunsen burner. Yet, when it comes to baking, I love experimenting. I love making sure I have all the ratios right in order to get the best result. If something fails, I try it again and again until I get it right. Part of me wishes I could go back and take science classes with this same mentality. Sometimes my experiments work out on the first try- like these cookies. 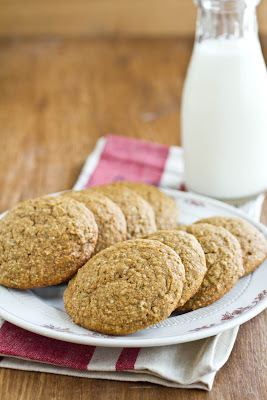 I’m always looking for ways to cram nutrients into everything I eat and while these cookies still have butter and sugar, they also have a good source of protein through the hemp seeds. 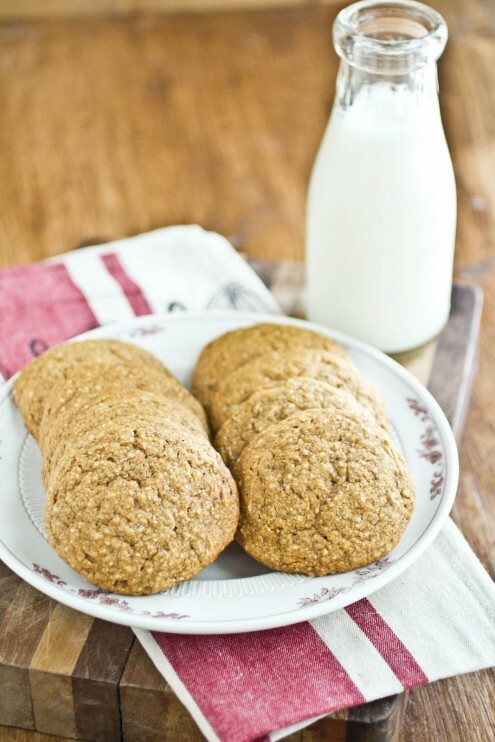 The hemp seeds add an extra bit of earthiness to the cookie and the texture is a hybrid of a muffin and cookie. I feel like these taste like fall in a cookie! Using a nut or coffee grinder, grind hemp seeds to resemble a course meal (about 15-30 seconds.) Combine ground hemp seeds, flour, baking soda, baking powder, and salt. Whisk together and set aside. In a mixer attached with a paddle, beat butter and sugars together. (if you don’t have a mixer, beat by hand- just make sure your butter is soft but not melted.) Add in pumpkin and continue to mix until pumpkin, butter, and sugars are combined. Next, add in egg, vanilla, cinnamon, and nutmeg. I like a heavier cinnamon taste and if you don’t, you may want to cut back to 2 teaspoons of cinnamon instead. Continue to beat, scrapping sides if need be. Finally, add in hemp mixture and beat until dough comes together and the hemp mixture is incorporated. Do not over-beat, you should only need less than a minute. Cover a baking tray with a piece of parchment paper. Using a cookie scoop (or a large spoon) scoop cookies and place two inches apart from each other. Bake for 15-20 minutes (for large cookies) or until cookie springs back slightly (as if baking a cupcake.) Remove from oven, let cool for five minutes then transfer to a rack to finish cooling. LOL I saw this on FB and didn’t think of “hemp seeds”. Can you get hemp seeds at like a Whole Foods? These cookies sound yummy! Ha! I got mine at my local grocery store. I know for sure that Bob’s Red Mill packages and sells them. Just made these and they smelt so heavenly cooking in the oven. They taste awesome! I drizzled a little maple syrup on top of the cookies when they were still hot out of the oven for some extra sweetness. Tastes great. Thanks for the great fall recipe! Yum! I’m going to have to try that- sounds delicious! I’ve been on a pumpkin dessert hunt for a potluck and these may have won me over? How many does this recipe make? This recipe makes a dozen (using an ice cream scoop.) You can make them smaller or larger! Mine just came out of the oven now. I just made a gluten free version using the flours I had on hand. I also switched out the sugars for 1/2cup honey (I could have gone a bit sweeter). Not sure what was up with my oven but I had to lower the temperature and time. No worries I poured some melted chocolate over the ones with darker bottoms! Very tasty and super healthy. Thanks!!! hello, i’m vegan so can i replace butter with earth balance vegan butter and an egg with flax or chia egg? You might be able to- I’ve not tried and don’t work a lot with vegan baking so I can’t give you a for-sure answer.